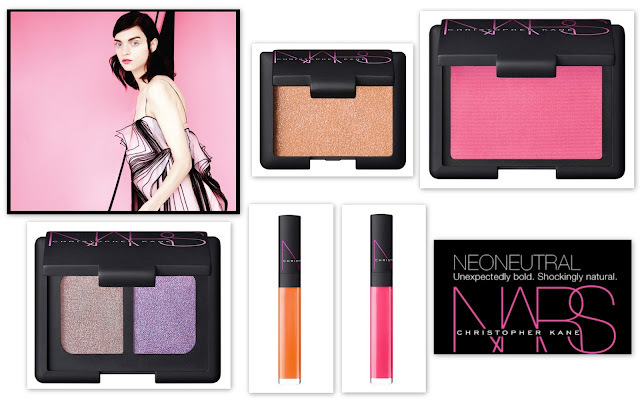 I'm not usually one to be drawn in by limited edition collections but this one from Nars and Christopher Kane has well and truly caught my attention. The eye shadows are particularly beautiful, they impart a sheer wash of colour that's filled with iridescent glitter. You have to swatch them to truly appreciate them. The blusher is highlighter pink in the pan and seriously pigmented when swatched, it translates surprisingly well onto the cheeks and seems to look very flattering on a range of skintones. The lip glosses bring the collection together really nicely, the bright pink and orange are the stand outs to me. Usually there's one stand out from a limited edition collection, but all of these products have quickly shot to the top of my wishlist. this is suuuch a stunning collection, especially love the lipglosses! Great selection - I'm lusting after these too! I know! There are a couple more lip glosses in the collection too! Me too! Particularly the single eyeshadow but it's sold out! :( Thank you! !